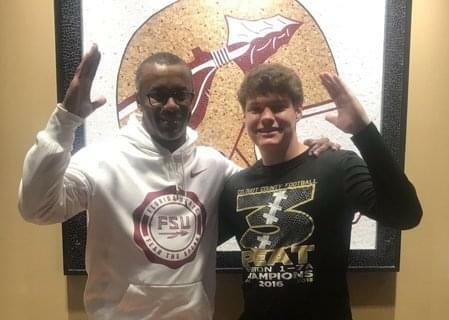 Willie Taggart added an important piece to his 2019 recruiting class on Sunday securing a commitment from kicker Ryan Fitzgerald. Fitzgerald, who is among the top 15 kicking prospects in the country, sat down with 1010XL to discuss his Florida State commitment. Fitzgerald has enjoyed the opportunity to get to know Taggart through this process. Fitzgerald says when he got the Florida State offer, committing was a no-brainer. “I had other scholarship offers, but when they offered I kind of looked at my parents and we had the same look on our faces,” Fitzgerald said. “I told them I was going to be a Nole because you can’t turn down that type of opportunity. Fitzgerald says he will bring field goal range to Tallahassee. Finally, Fitzgerald wanted to thank his parents for getting him to where he is today.